A Wrinkle in Time is a widely acclaimed 1962 science fiction novel by Madeleine L’Engle. Although I’ve never read it myself, I recognize its title as a literary classic just from its constant presence within schools and literary discussion. I imagine if you’re like me and haven’t read it, you’ve probably, at the very least, heard of it. The folks I know who have read it thoroughly enjoyed it, and I wonder if I would too because my thoughts on this second Disney produced adaptation is quite the opposite. 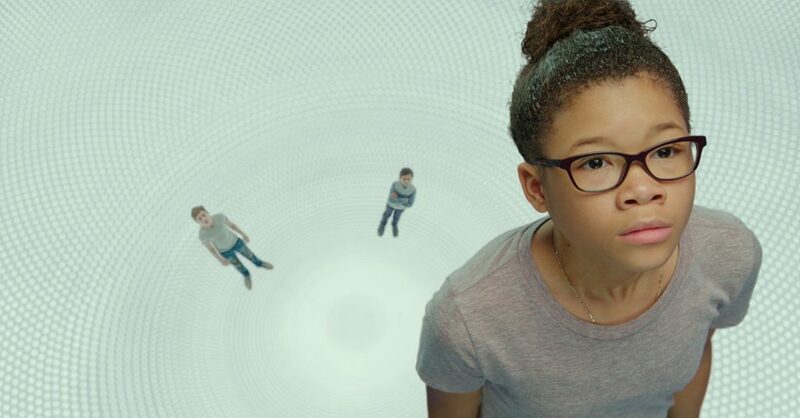 The film follows a young girl named Meg Murry (Storm Reid) who’s basically an outcast in her school and a victim of bullying. She’s clearly a gifted child as an opening flashback shows, but her happiness and ambition dissipated when her brilliant physicist of a father (Chris Pine) went missing four years ago. With the help of her prodigy of a younger brother, Charles Wallace (Deric McCabe), Meg is driven into an interplanetary journey through the fabric of time when she’s introduced to three eccentric and celestial beings named Mrs. Whatsit (Reese Witherspoon), Mrs. Who (Mindy Kaling), and Mrs. Which (Oprah Winfrey) in an effort to find her father and more importantly, herself. A Wrinkle in Time was written for the screen by Jennifer Lee, who has an Oscar to her name for Frozen (she’s working on its sequel) and has co-written other massive Disney hits such as Wreck-It Ralph and Zootopia. It’s also directed by Ava DuVernay, who’s quickly made a name for herself with the 2016 Oscar nominated documentary 13th as well as the critically acclaimed Selma the year prior. The movie spends way too much time with expository scenes to catch the viewer up in what everything means, yet for the first two thirds of the movie, a non-book reader can and likely will still be entirely lost as to what’s going on. Perhaps this is different from a fan of the book’s perspective, because I felt as if the movie probably caters to those who’ve read it more so than creating a world for all to enjoy. Many questions are begged to be asked – Why is Meg being bullied simply because her father disappeared? Why is it acceptable for Mrs. Whatsit to just show up in their house? How does Charles Wallace know who these celestial travel guides are and where to find them? Why is Mrs. Who quoting Outkast, Lin-Manuel Miranda and Chris Tucker (the film is PG, so it’s “Daaaaaaaaaaang”) Everything just plays out for the sake of getting from point A to point B as quickly as possible and the film and pacing suffer greatly from it. The film only gets slightly interesting when they “tesser” through time for the first time to a new planet filled with beautiful landscapes and imagery, but then quickly goes back to resembling that of a large-budget Disney Channel production as they take a ride on the back of what I can only describe as a giant, flying vegetable. It’s here they’re introduced to the big evil of the movie – a giant black cloud called the Camazotz, where apparently Mr. Murry is trapped. The cloud represents darkness and to defeat it, Meg and her companions must find their light – you know, that traditional good vs evil, light vs dark, Christian allegory. It’s not a bad message at all, but it’s just a little too on the nose here. In the end, I found this to be a snooze fest. Despite its potential with interplanetary travel to worlds never before seen, the film never begins being interesting enough to care. While it holds a positive message for the younger generation, it doesn’t have anything remotely enough to make it memorable or to hold their attention. 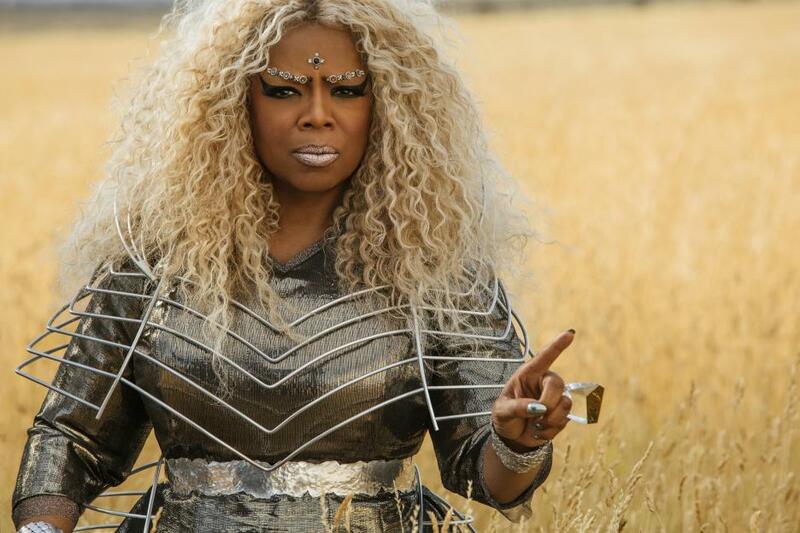 A Wrinkle in Time was, in my opinion, a waste of time.